WWE 2K16’s final 23 roster members have been revealed. Baron Corbin, Big E, Bray Wyatt, Brian Pillman, Colin Cassady, Enzo Amore, Jey Uso, Jimmy Uso, Kofi Kingston, Konnor, Mark Henry, Mikey Whipwreck, Ricky Steamboat, Rusev, Savio Vega, Stephanie McMahon-Helmsley, Sting (1999), Sting (Blonde), Stunning Steve Austin, Undertaker (American Badass), Undertaker (Ministry), Viktor and Xavier Woods are now a part of the game. The inclusion of Mikey Whipwreck and Ricky Steamboat are for the game’s campaign mode, which will focus on the entire career of Steve Austin and not just his frequently-playable “Stone Cold” era. With Whipwreck, it’s his first appearance in a WWE game ever, and his first appearance in a game since the ECW stuff created by Acclaim eons ago. 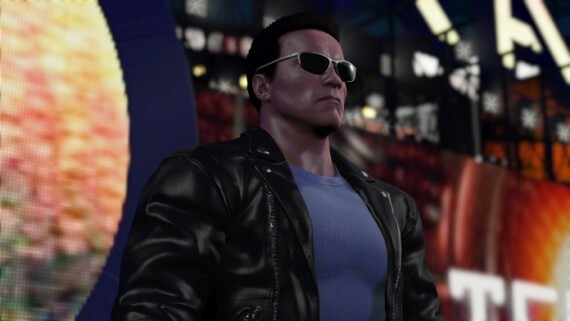 “Stunning” Steve Austin and “Superstar” Steve Austin were shown off, and we’ve also now seen the first images of the Terminator models as well. Arnold looks perfect, while Stunning Steve looks great body-wise, but the face is just a dreadful revamp of Stone Cold with an expanded beard that doesn’t fit the character at all. 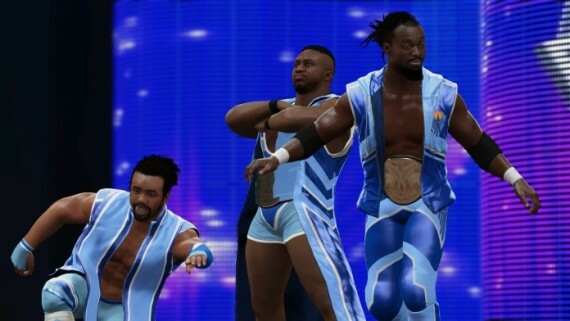 New Day was also showcased, and hopefully the Superstar Threads mode is back in the game so their attire can be easily updated since their gear is the same style – just with different color schemes, so it’s easy to keep them updated.